Regular players of Neko Atsume: Kitty Collector may recognize the cat called Peaches, a.k.a. “Cream,” a.k.a. “Kuriimu-san.” Then again, there’s a chance that you don’t really recognize her, as she’s extremely hard to find. In fact, Peaches is believed to be the most elusive of all the felines in the game. During the rare times she drops by players’ houses, she hardly stays there, spending the next several days hiding. And if a cat’s hiding, you cannot snap its photo and add it to the collection of pictures in your Catbook. So why is Peaches so elusive anyway? The main reason, some say, is her color – she’s a cream-colored calico cat, and since there are several other calicos in the game, chances are you may have overlooked her and missed her defining feature – a spot on her flank that’s shaped like a heart. She has a very low Power Level, which determines how aggressive cats may be when they’ve got a toy in front of them. Cats with low Power Levels usually end up leaving before an actual fight begins, or shying away from a high concentration of cats in your yard. 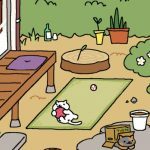 Now, that we’ve given you a bit of a backgrounder on Peaches, let’s move on to our latest set of Neko Atsume: Kitty Collector hints, tips and tricks, which will show you how to improve your chances of getting her. We already gave you a description of Peaches – she’s a cream-colored calico with a heart-shaped spot on her flank. But being that there are many calicos that tend to visit your yard, that makes her very easy to miss. Apart from the heart, the main difference here is that she’s a cream calico, while the others are white. With a larger yard, you’ve got more room for toys, and you’ve also got to buy her favorite toys if you don’t have them yet. Still, chances are you may have a couple, such as the Cat Metropolis, the Cat Pancake, and the Twisty Rail. She’s also quite fond of cushions and hammocks, and as she likes lollygagging better than playing on many occasions, having enough of those cushions and hammocks could come in handy. The thing with Peaches is that she makes short visits, so make sure you’re visiting every now and then, because you just might luck out and find her in your yard. Peaches isn’t too picky about food, but she will prefer it if you have some premium food waiting for her. Deluxe Tuna Bitz is a good choice, as it draws in a lot of cats; Peaches just might be one of them if you put that food down. Combined with the wide range of toys and hammocks and cushions we suggested above, having the right food could really help you draw her in and lure you to your yard. 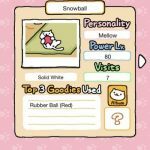 In case you haven’t read our previous Neko Atsume: Kitty Collector guides here on Level Winner, we advise you to check out our ultimate guide, which comes with some neat tricks on how to get rare cats. 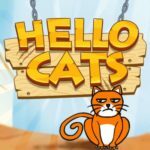 On the other hand, if you’re looking for general gameplay tips, you may want to have a look at our first Neko Atsume: Kitty Collector strategy guide. 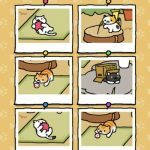 Have some more hints on how to get Peaches in Neko Atsume: Kitty Collector? In case you do, let us know fellow gamers, so we can include those tips in our list! Peaches visited in the small shopping box and the food I had was Frisky Bitz…I do check often but couldn’t believe she was there ! !